QAD and the UK & Ireland Progress User Group (PUG) have put in place an arrangement to allow QAD customers who are interested in being part of a vendor independent, user led organisation to join the PUG and benefit from the wide range of Progress related activities offered by the user group. QAD Enterprise Applications are based on technology from Progress Software Corporation and many of the issues you come across developing and running your QAD systems are also shared with the wider Progress community – issues such as DB Admin, Disaster Recovery and customising and extending your QAD software by using Progress tools and languages. Networking opportunities with other users, consultants and key PSC executives and developers. A web site that offers information and services to members, such as past conference sessions, etc. In addition, QAD have undertaken to provide content specifically for QAD users. 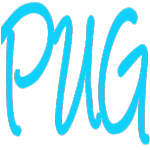 If you found being part of the QAD User Group useful in the past, then we invite you to join the UK and Ireland PUG for the future.